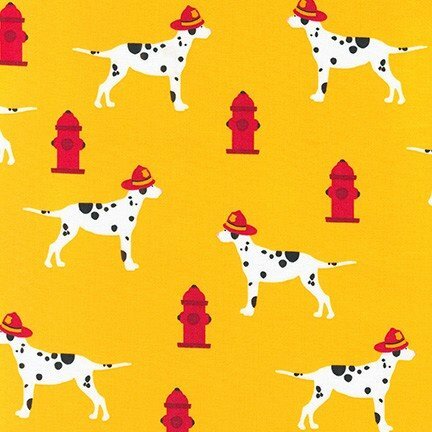 Yellow with Dalmatian dogs wearing fire fighter helmets and fire hydrants . From the Fire Pups collection from Robert Kaufman Fabrics. 100% cotton. 44"-45" wide.